In the past 2-3 years, Nokia has been left in the shadows by their competitors, Apple and Samsung. According to my belief, there are two main reasons for their downfall: the actual products, the operating systems. Although, in the past, smartphones like N73 or N95 smashed the competition in terms of camera and operating systems, their latest devices did not appealed to the customers. I’m not going to speak for every smartphone user on the planet, but I know that even if I love their devices, I don’t really dig the Windows Phone OS. I think that a Nokia phone that runs Android OS will be much more successful. Now, in an attempt to regain the crown (or at least a notable place in the game), Nokia is preparing a spectacular launch for July 11. According to most tech blogs, it is believed that on this date, we will probably see more of Nokia EOS, a smartphone with an exceptional camera and the Windows Phone operating system. As I said, I’m not particularly fond of Windows Phone OS, but I have to say that I’m waiting for a long, long time for a smartphone with a great camera. 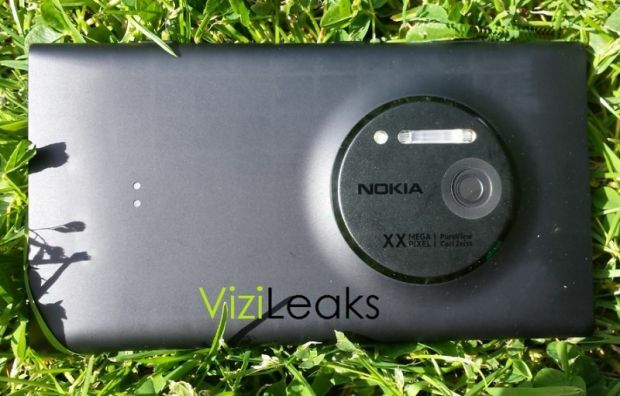 The Internet had many rumors about this gadget, and even few pictures with Nokia EOS surfaced along the way. According to a new entry from @evleaks (twitter), the new device is named Lumia 1020. True, the smartphone resembles a lot with Lumia 920, so it makes sense to integrate it into Lumia series. No official statement was released, but it is believed that the Lumia 1020 will have a 41 MP camera. We will probably see more details and a test run on July, 11.